Epithelial carcinoma —Makes up nearly 90% of ovarian cancers. There are eight different subtypes of epithelial carcinomas that differ on how they look under a microscope. The most common type of epithelial carcinoma is called serous. 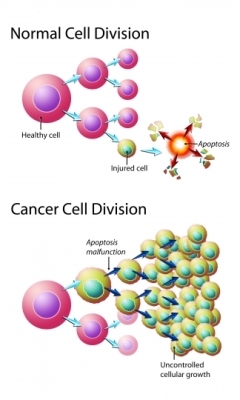 Germ cell tumors —Tumors in the cells that produce eggs. 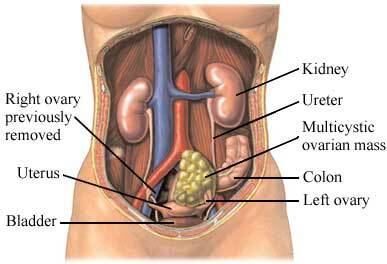 Stromal tumors —Tumors in the connective tissue that supports the ovary. What are the risk factors for ovarian cancer?What are the symptoms of ovarian cancer?How is ovarian cancer diagnosed?What are the treatments for ovarian cancer?Are there screening tests for ovarian cancer?How can I reduce my risk of ovarian cancer?What questions should I ask my doctor?What is it like to live with ovarian cancer?Where can I get more information about ovarian cancer?